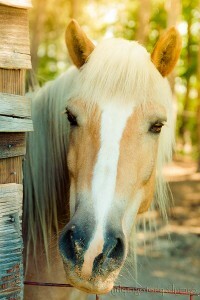 The Endless Ribbon Foundation is Atlanta’s premier provider of equine assisted therapy and horse rescue. We rescue horses to change the lives of children in need. Our board members are all non-paid volunteers. Our non-profit organization is committed to maintaining very little overhead. It takes a large team of volunteers to keep us riding “nose-to-tail.” Horse rescue provides a meaningful connection to horses and children in need. With contributions matching needs both great and small, it is easy to become part of our herd. Our treatment team includes EAGALA (Equine Assisted Growth and Learning Association) internationally certified clinical psychologist, Dr. Darnyl Katzinger, PhD, and PATH (Professional Association of Therapeutic Horseback Riding) certified equine specialist, Caroline Jaffe. Let us introduce you to this group of wonderful people who advise us on safety, therapy and business. They selflessly give of their time, money and expertise. Meet our partners. We could not provide horse rescue services or equine assisted therapy without their support. Sponsorship allows us to continue caring for horses and children in need. Come take a look at the impact equine assisted therapy has on children in need! These stories will make you laugh and cry. Mostly, we hope they make you want to join us in making a difference. If you believe in the healing a rescue horse can bring to a child, consider partnering with us. Take a look at our horse rescue and therapy programs, and join the herd today! i love horses i have been coming for half my life i've been coming. i started rescuing horses many years ago or perhaps, they started rescuing me. I'm extremely blessed to help horses by providing them a job and forever home. Additionally, raising money, holding golf tournaments, fancy lunches, seminars, corporate retreats, and sharing horse simple stories at everything from graduations to film openings has created the much needed funding for kids at risk. Through this work we share the miracles taking place when kids and teens who have felt preyed upon feel heard in the herd by interacting and building relationships with horses. So, having programs and wonderful teams of professionals, psychologists, physical and occupational therapists, and riding instructors makes what I give easy and effortless.